She’s a former refugee, a Muslim, a mom of three, and now the first Somali-American lawmaker in the United States. Omar is the youngest of seven children. She and her family fled from the Somali civil war and spent four years in a refugee camp in Kenya. When she came to the United States in 1995, she spoke only Somali. As her English improved, she began translating for her grandfather at political events in the Twin Cities. Today, the Minneapolis organizer is well-versed in business administration and politics. She won House District 60B in southeast Minneapolis with 80 percent of the vote. 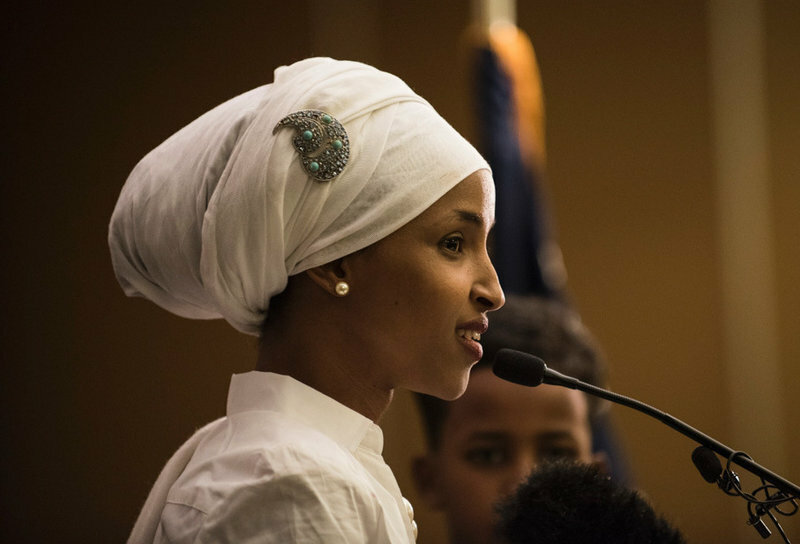 It wasn’t a surprise that Omar would win a Minnesota House seat in the reliably Democratic district: In the primary contest earlier, she beat a 22-term incumbent, and her Republican challenger suspended his campaign for family reasons. Allegations were raised during the campaign that she had illegally married her brother to commit immigration fraud; she denied the charge. On Tuesday, as Ilhan Omar walked into a room filled with supporters, she was crushed with hugs and kisses from anyone who could touch her. 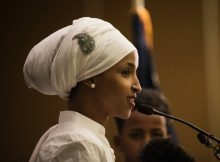 For nearly 20 minutes, photographers tried desperately to capture Omar as she moved around the room in her white headscarf. When the music stopped and speakers gathered on stage, Omar sat down in the front row, beaming, next to her husband, Ahmed Hirsi. One of her children sat on her lap, and her two other kids stood by her. “Minneapolis said no tonight, said no to hatred,” Habon Abdulle said. She’s the executive director of the Minneapolis group Women Organizing Women Network. When Omar’s husband took the microphone, he got the crowd laughing when he started to describe strong, black, Muslim women. She honored her grandfather first, thanking him for his many lessons, then her dad and finally her supporters. She told the crowd she would work on an agenda focused on justice and the common good, zero waste and renewable energy. Omar’s mentor and friend, Minneapolis City Council member Andrew Johnson, said he knew long ago that she would make history. Mohamed Omar Giama couldn’t agree more. The 90-year-old former Somali ambassador to the European Commission said he was overjoyed witnessing history.